Our lives begin to end the day we become silent about things that matter.—Martin Luther King, Jr. I am breaking a long silence on this blog to write about something really important to me. I did not consciously step away from blogging here, and I had ideas about things I wanted to write, but it’s been a process for me the last two months as I grieved the loss of my grandmother and coped with the normal business of school and teaching. Time is always a factor with blogging, too, and I need to make the the time for things I think are important. This is important. I do not write about politics much here mainly because I know I have readers who don’t share my politics, and we have other areas in common. I didn’t want to unnecessarily drive them away. However, what I have to say is too important to worry about what some of my readers think, and if people decide to stop reading my blog or don’t want to follow me on Twitter anymore, that’s their choice. I have the freedom to speak, and they have the freedom not to listen. 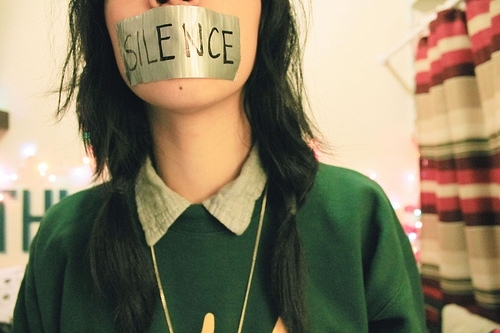 But I can’t be silent about it. I was thinking about how the fact that the President appears to lack empathy, and I trace it to his lack of reading. There are so many recommendations I have, but one place he might start is that old standby, Charles Dickens’s novella A Christmas Carol. The Ghost of Christmas Present has always seemed to me to be the spirit who most effects Ebenezer Scrooge’s change of heart. Yes, the Ghost of Christmas Yet-to-Come clinches it, but two moments in particular stand out for me in Scrooge’s conversation with the Ghost of Christmas Present. The first is when Scrooge begins to feel some empathy for Tim Cratchit and wonders if the boy will live. I find it impossible to believe that the President has not heard these lines, even if he doesn’t read. How can he have escaped one of the many movie versions of this classic text? And yet, it seems not have left an impression, for his executive order will not root out terrorism, but it will separate families. It will hurt students who study in the US, like my student. I do not feel safer because of this recent effort to keep my former student out of the country. Seeing Tiny Tim, meeting him and having a glimmer of understand about how hard his life must be changed Scrooge’s heart. He no longer saw the poor as a mass of people who didn’t take care of themselves and their children or didn’t work hard enough. Their plight became real to him because he met an individual child. Though the first spirit attempts to move Scrooge by showing him his past so he might compare it to what he has become, he remains mostly unmoved until the Ghost of Christmas Present shows Scrooge others and helps him understand his responsibility to his fellow man. And this is what literature can do. It can show us the experiences of others. It translates our own experiences to us. It offers us a way to understand and even a chance to repent and change. We cannot let Ignorance become our Doom. It’s our responsibility not to allow another witch hunt. We must fight back in whatever way we can against policies that do not align with our ideals as Americans and which will harm our fellow human beings. We are better than this. After the Holocaust, we said “Never Again.” I am deeply frightened by the direction my country is heading, and I stand against these policies.